Coming in a week or two for testing. I should have it for 2 weeks. Set phasers to KILL. 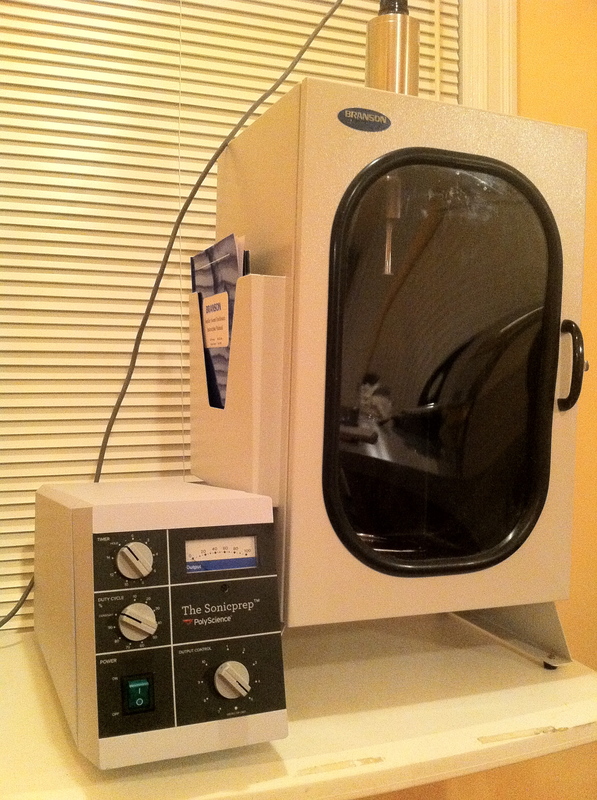 The chance to play around with the Polyscience SonicPrep? Nice! It took a little while longer to get the thing to Seattle (apparently Ideas In Food had it before us – how cool is that? ), but it finally made it and Scott and I descended upon it to see what this new fangled contraption could do (Eric, alas, had already moved to Chicago by the time it arrived).